REVOLUTIONARY PRESSURE WASHER & SAND-BLASTING SYSTEM IN ONE. 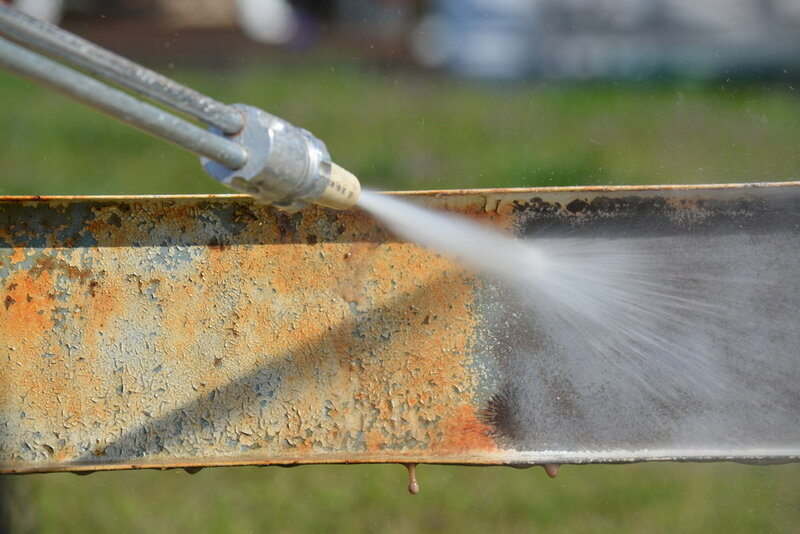 Blasts away dirt, rust & paint in no time flat. Making clean work of dirty jobs. IT’S TIME FOR A MAJOR SWITCH. The revolutionary TYPHOON BLASTER Sand Blasting Pressure Washer combines the heavy duty cleaning power of a pressure washer with a wet sandblaster into the ultimate cleaning tool. The Typhoon Blaster’s powerful 4 stroke gas engine and lightweight frame make it easy to take on the toughest cleaning and stripping jobs. 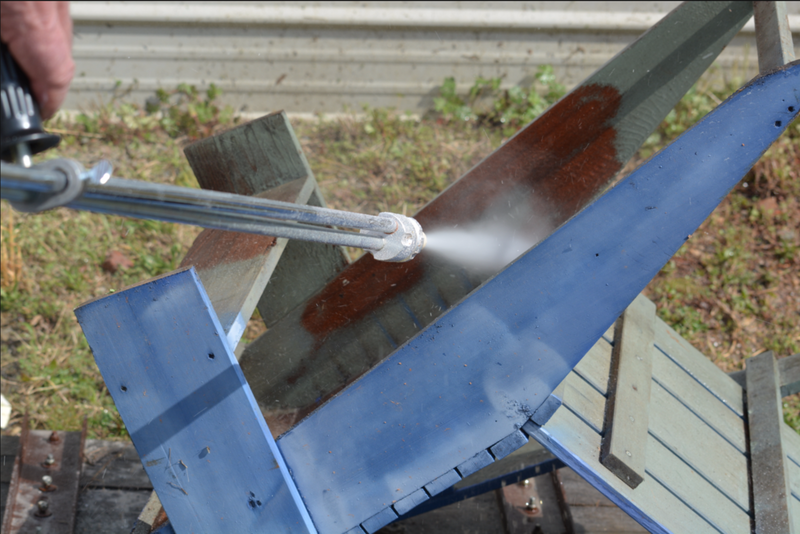 Interchangeable nozzles switch from high pressure water to abrasive liquid media cleaning in seconds! Making quick work of large or small projects. WE WORK BEST UNDER PRESSURE. From fences and outdoor furniture to brick and steel, the TYPHOON BLASTER Sand Blasting Pressure Washer can tackle any project with ease. The lightweight aluminum frame combined with a patented tire positioning system allows for maximum maneuverability with little to no effort. The Typhoon Blaster features a first of its kind, patented stabilizing mechanism that alleviates vibration and movement no matter the surface. When the pressure’s on, you can bet that we’re working our hardest! Patented tire positioning system, stabilizing mechanism and media flow selector make it versatile, easy to use and maneuver. Our research and development team work diligently to develop innovative products based on customer needs and are right here when you need us. This sand blasting pressure washer is chemical-free and has less of an impact on the environment than similar machines on the market. A Typhoon Blaster representative will be in touch soon. For immediate assistance, contact customer support at 1-866-588-9361. Thank you for your interest. Div. of SC Power Tech Inc.
WHY BUY FROM OUR COMPANY? Our solid reputation and commitment to our customers for decades are proof we have stood the test of time. We are dedicated to providing our customers with the best equipment on the market today. A SOUND INVESTMENT. The rugged, dependable user friendly equipment we produce is industrial strength, built to ensure our customers enjoy many years of great service and unbeatable quality. Typhoon Blasters are currently manufactured in the USA by SC Power Tech Inc. Please feel free to email or call us with any questions pertaining to our products. © 2017 SC POWER TECH INC., ALL RIGHTS RESERVED.